Is one of the most devastating aspects of a spinal cord injury or debilitating disease. Often, especially in the case of quadriplegics, depression and despair quickly takes over. However, there is hope. Accessibility Services, Inc. (ASI) provides custom environmental control units to quadriplegics and individuals facing debilitating diseases. Environmental control units allow users to control items such as their lights, phone, bed, television, doors, thermostat, ceiling fans and computer. An environmental control unit is a special type of computerized device which allows individuals to control their surroundings. What is a Custom Environmental Control Unit? A spinal cord injury, disability or disease affect each person in a different way. Some may retain some movement in their fingers, while others may only have the ability to move their eyes. A custom environmental control unit is one with features designed to accommodate the needs of each specific individual. 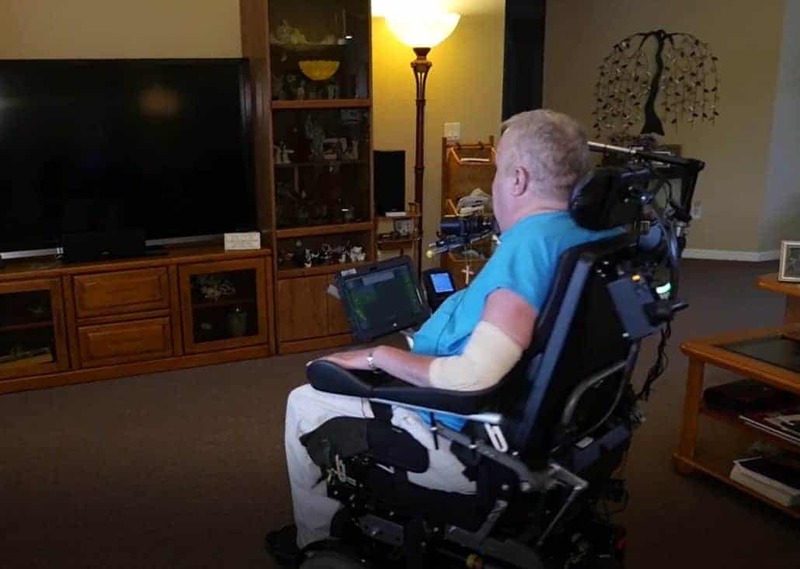 ASI’s autonoME takes this one step further in that it is a custom environmental control unit with augmentative and alternative communications (AAC) capabilities. So, not only can an individual control their environment, the autonoME’s AAC features allow them to communicate as well. Restoring independence is probably one of the most – if not the most – important part of helping quadriplegics come to terms with their spinal cord injury or disease. A custom environmental control unit not only helps the individual, but also gives their caregiver(s) a sense of peace as well. Our next article will discuss the various input methods that can be incorporated into a custom environmental control unit. https://accessibilityservices.com/wp-content/uploads/2017/10/Environmental-Control-Unit-.jpg 899 1264 ASI /wp-content/uploads/2019/03/ASIProposedORIGINALColor-01-e1553790122688.png ASI2017-10-23 11:56:462017-10-23 12:04:55Why is an Environmental Control Unit So Important?